After one of those oh-my-goodness-not-so-fun-surprise law school expenses this past week I decided to host a super sale on my blog page. These items are all still full price in my shops, but you have the chance to buy them here with a huge discount! 100% of these items are made and ready to ship so they'll be on their way to you right away if you order them. If you'd like to purchase something from the sale email me at thiswomansplace@gmail.com and I'll let you know if you were the first email and send payment information to pay via paypal. Only one of each item is currently available. 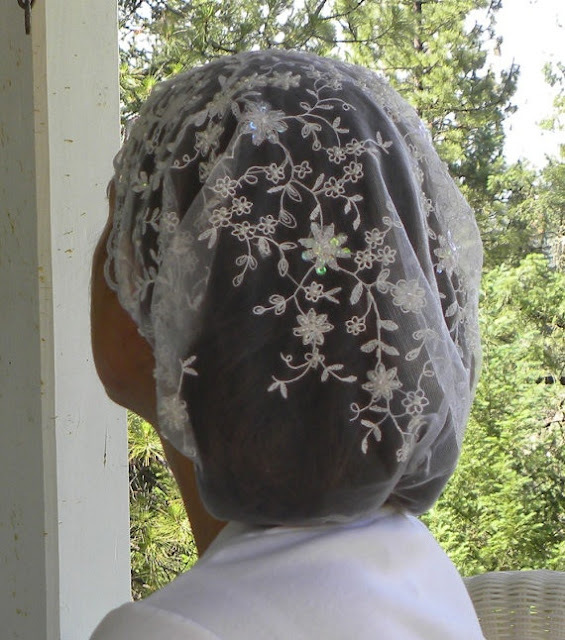 First off is this stunning snood. 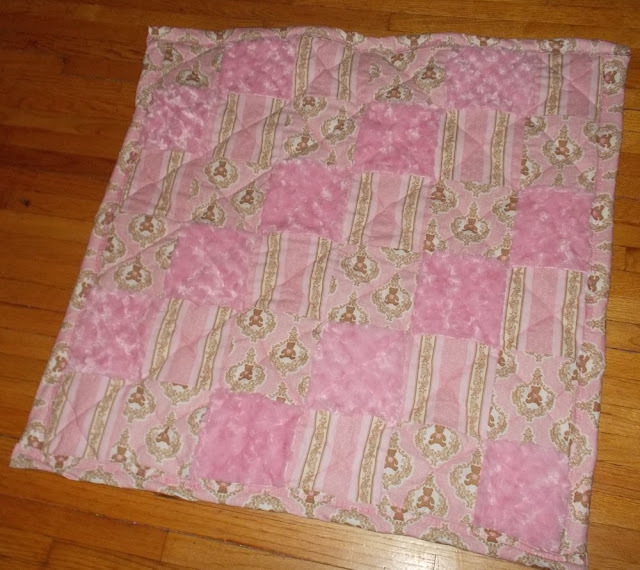 It is one of my all time favorite sewing creations. The lace is just lovely. Next up is a real pearl necklace. 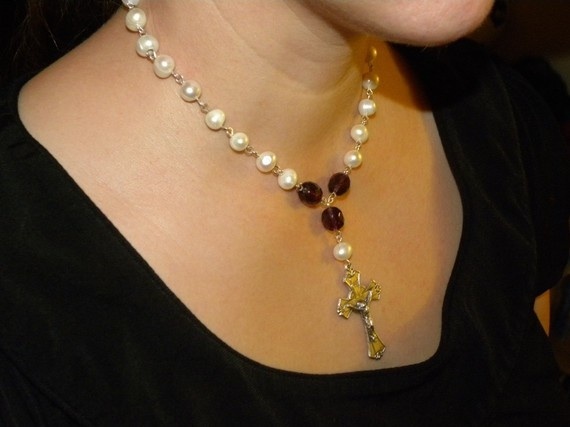 It's made with hand selected freshwater pearls and Czech glass amethyst beads. And it is $40 today for a savings of $35. 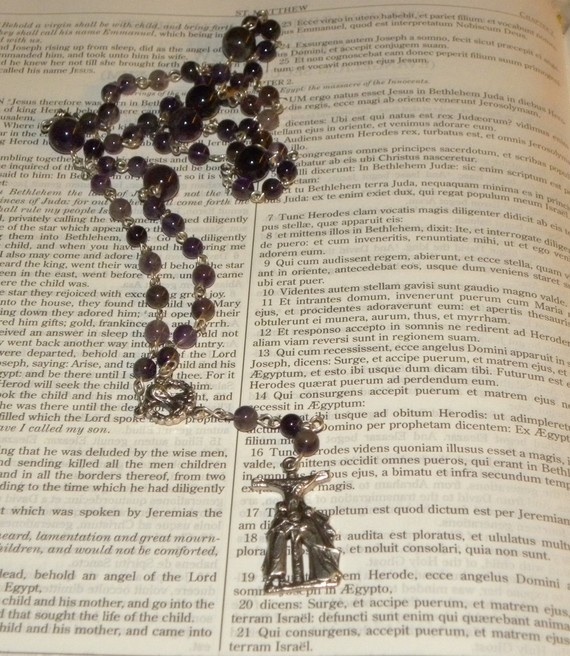 This is a real amethyst Seven Sorrows chaplet. 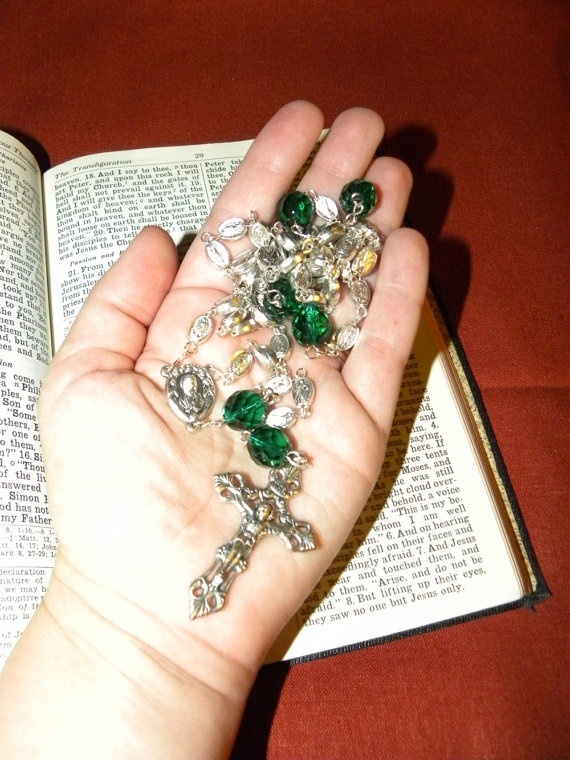 For more information on the chaplet check out the original listing here. Today, as part of the sale, it's available for $22! 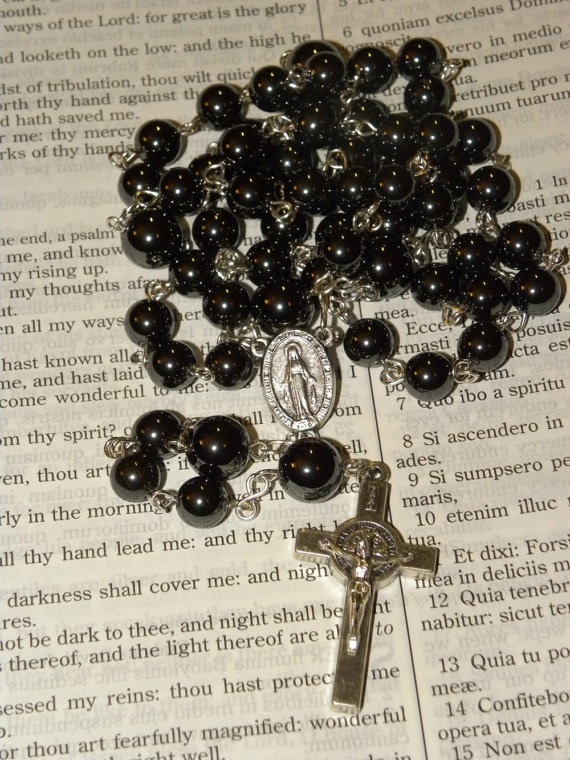 This is one of my more masculine rosaries. It's made with hematite beads and has a nice weight to it. Today it's also only $22. This beautiful rosary has tiny Our Lady of Guadalupe beads. It also has a lovely weighted feel in our hand and today is on sale for $30. This large rosary would be perfect for a special occasion like a wedding! It's marked down $20 and could be yours for only $30 today. 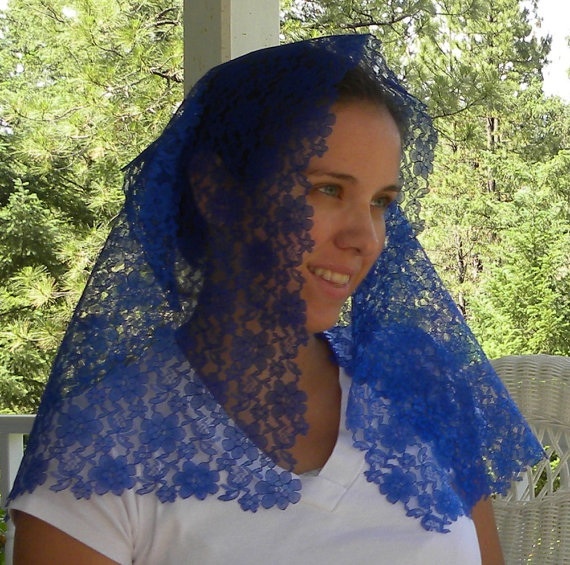 I went through a veil making phase before deciding that it was best to focus my energy on snoods. This is the item I'm most excited about offering here today. 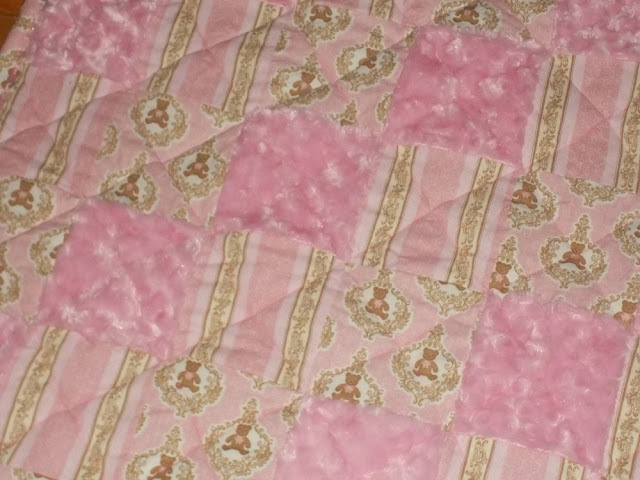 It's one of my quilts. I'll be posting more quilts towards the end of spring, but I thought I'd add this one to my sale. 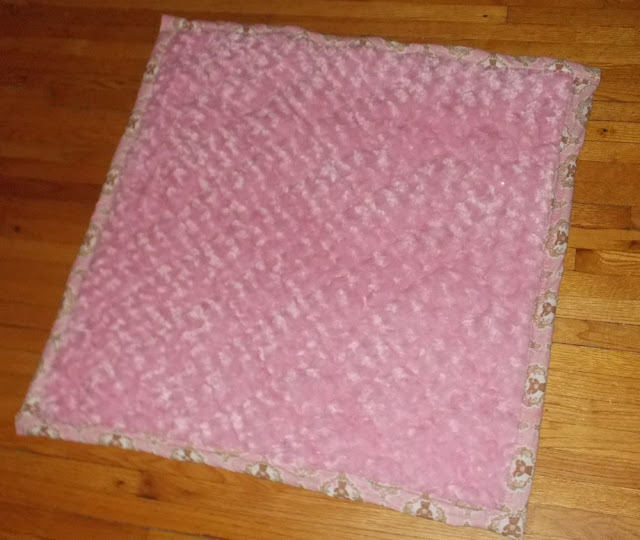 It approximately three feet by three feet and is perfect for snuggling. 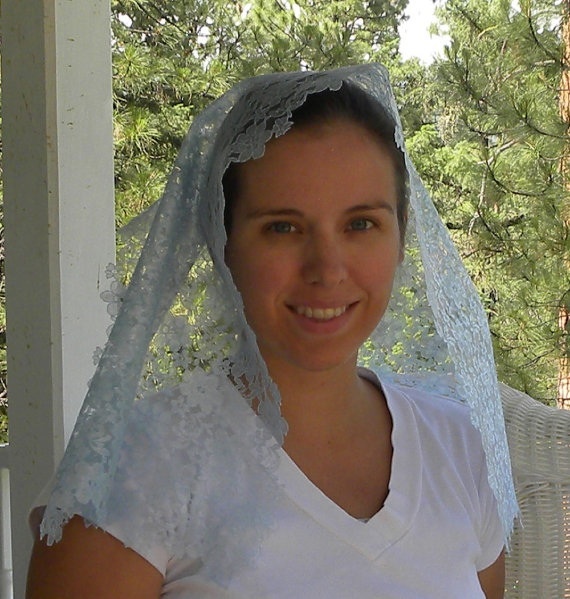 Patrick has a version in blue and I recommend washing it in cold water and tumble drying it on a low setting. It's marked down $10 and I'm offering it for $50 this morning! Let me know if you're interested in any of the sale items. I'll be marking them as "sold" once they've been paid for. 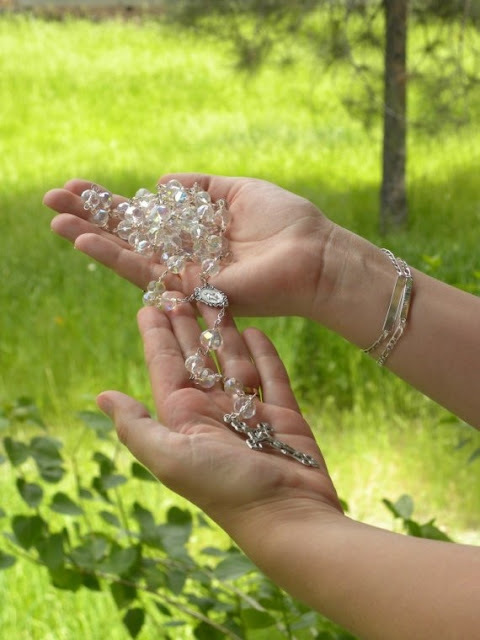 I'll have to double-check my credit card information but I'm reasonably certain I'm interested in the hematite rosary. Tis a thing of beauty.